We’ve reached week 20 of our 22-week season and seeing it typed out made me catch my breath. I can’t believe the season is almost over! Autumn has officially arrived, the change in day length is very apparent, and the plants are slowing down. Spent crops are being pulled out and all that green is giving way to golds and browns as the plants finish their work for the year. This week’s share really highlights the changes of season with a color palate straight out of New England. 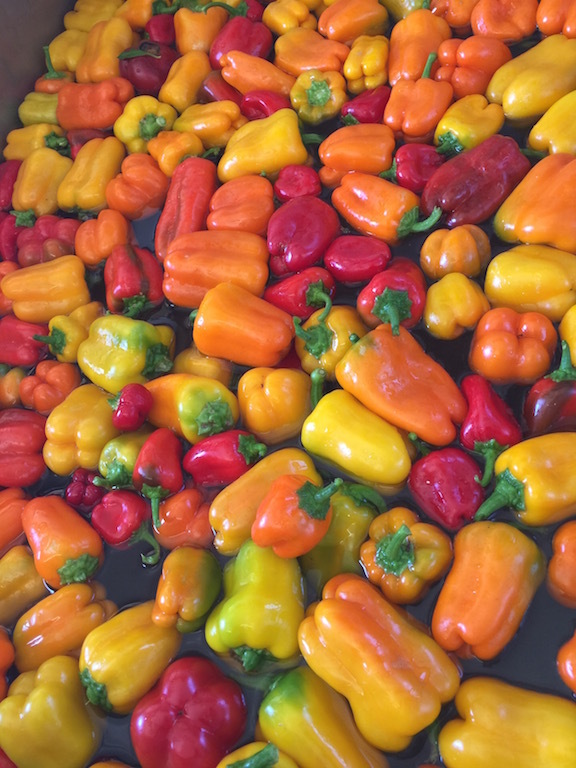 Just check out the photo of the sweet peppers below for proof! And if the last few weeks worth of apples are starting to pile up, try out the recipe for apple cake below. I made it this morning with the last mealy apples left over from apple picking a few weeks ago and it was delicious. 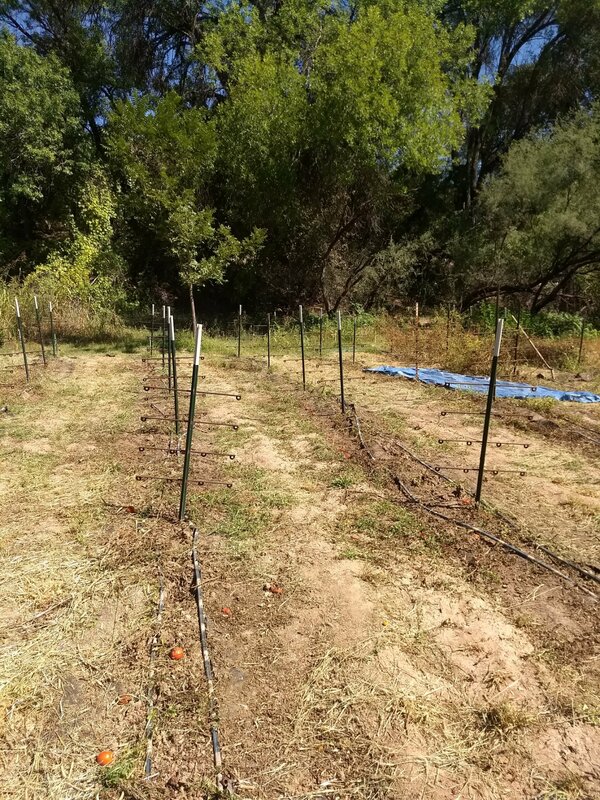 As our CSA season is nearing its close, please save the date for our end of the season potlucks at the Cornville and Sedona distributions on Wednesday, October 10th, during our normal distribution time. Although we see you throughout the season, we don’t usually get much time to really get to know each other. The annual potluck is a great chance to visit with your fellow shareholders and farmers. It is also an excellent opportunity for sharing your local produce prowess with a creative dish. I’ll share more details next week, but please mark it on your calendars now. Early Bird Contracts are available for those of you who want to sign up for next year’s CSA. You can download the contract on our websiteor pick one up at distribution over the next few weeks. Last week’s link seems to have been incorrect, so please give this one a try. 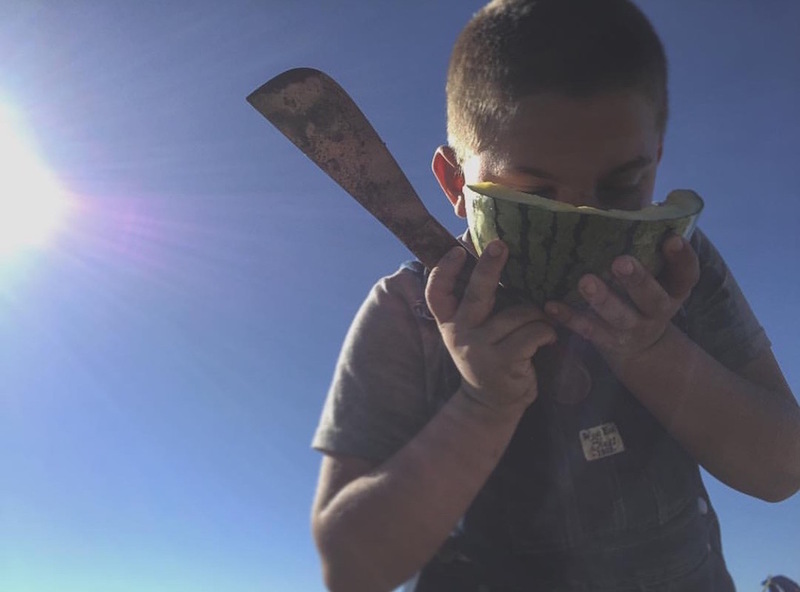 How did you enjoy your watermelon last week? 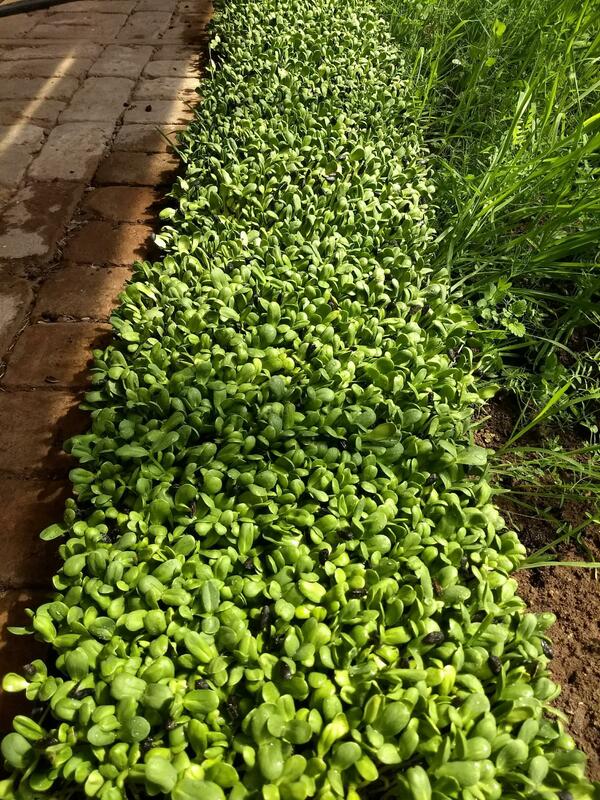 Sunflower sprouts in the greenhouse at Willowbrook. Who needs maple trees for fall colors? We’ve got them in the pepper patch! The tomatoes have been cleared at Willowbrook. Looking like the end of the growing season for sure.